This classic creme square cut corner shade features clean lines and gentle curves, making it ideal for a variety of settings. The outer fabric is high quality creme polyester and the inner lining is a poly/nylon blend. Features a high quality polished brass spider fitting. 10 1/2" across the top x 16" across the bottom x 14" on the slant x 13 1/2" high. Polished brass spider fitting with 1/2" drop. Square cut corner style lamp shade from the Imperial Shade Collection™. Creme 100-percent polyester material. Polyester, nylon blend inner liner. Not so dated looking and I’m hoping the color is a very light Ivory and yellow looking. This shade replaces a nearly identical shade we purchased nearly 20 years ago from a lamp store in Mississippi. When the original deteriorated to the point it was not usable, we wanted to replace it with another just like it, and we felt likcy to find this one on your website. Is like the one that is on lamp now. Beautiful style and easy to order! I like the look and it will go great with the lamp whose shade I am replacing. We have a very old floor lamp that the shade is deteriorating and this shade comes the closest to matching it. I am replacing shades on my two Stiffel table lamps. We have two shades almost identical and wanted to replace them with the same style. Can I get this in a taupe or light beige color? BEST ANSWER: The square does not come in any color other than the crème. However, we do have a rectangle cut corner shade in the taupe. If my lamps utilize harps, can I buy a shade with a spider attachment? BEST ANSWER: Hi Judi - Yes, you can use a lamp shade with a spider attachment for lamps that use harps. In fact, this combination is what's used most of the time. Can I. order 2 lampshades in Spider??? 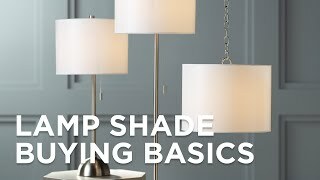 which shape lamp shade allows the most light? BEST ANSWER: Please contact one of our lighting specialists via phone, email, or chat. 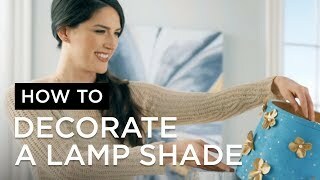 They can assist you in selecting the best lamp shade for your lighting needs. Walked in the door with my beautiful 60 year old crystal lamp that had a rotten silk shade that was original to the lamp. This was perfect!!! Just as described and beautiful. Very high quality lamp shade at an excellent price.